I am giving out this black peplum top by River Island to one lucky girlie this Christmas. 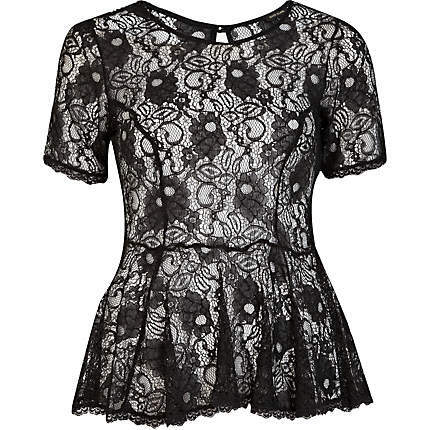 This stylish lace short sleeve peplum top with single button fastening is a key piece for every wardrobe. To win this top, like Fashion and Style Police on Facebook, follow the Fashion and Style Police blog, follow us on Twitter and Instagram, Retweet this post and leave a comment telling us why you like this peplum top and what you will wear it with. The winner will be announced on Saturday the 1st of December 2012.